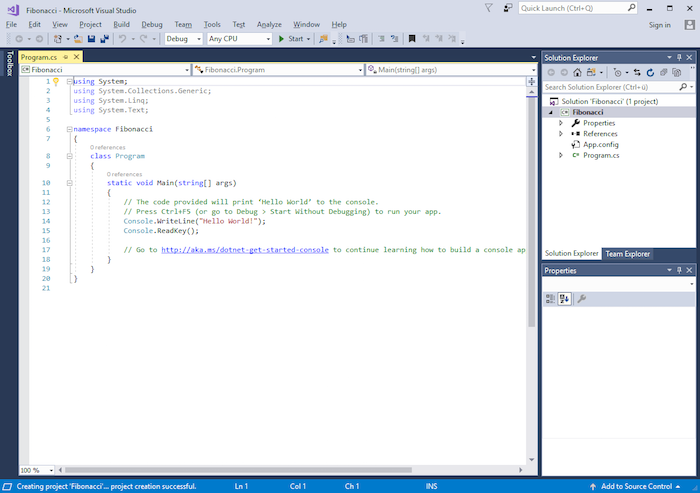 Learn how to get started with Microsoft Visual Studio to edit, debug, build code, and publish an app for your projects. This article will introduce you to the absolute basics of using the popular Microsoft IDE, Visual Studio. By the end of the article, you should be set up and ready to start writing your own software for your projects. 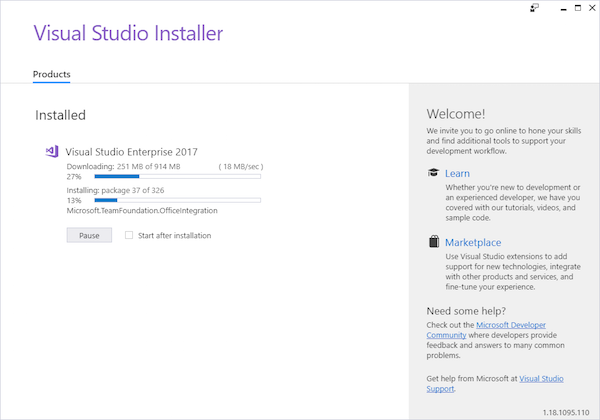 The Visual Studio installation window. 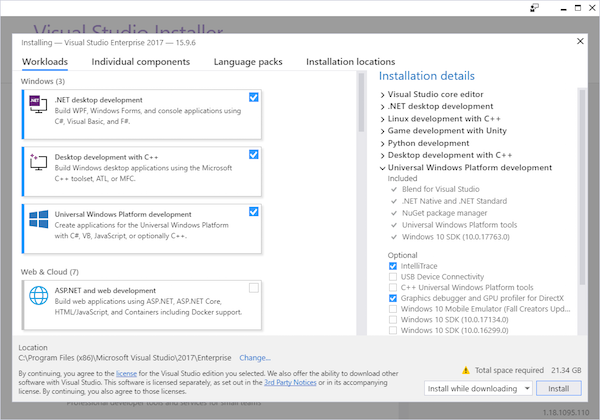 The different options for Visual Studio. 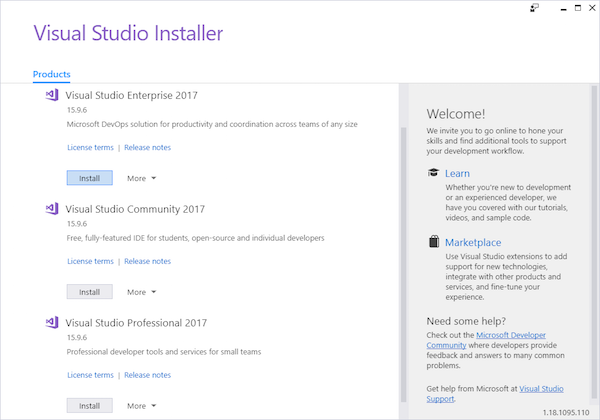 Select your version of Visual Studio. 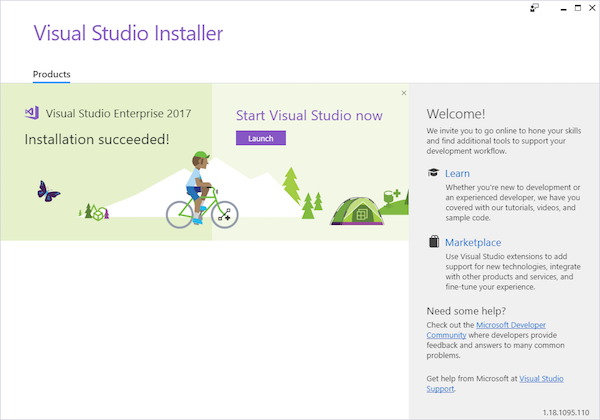 A successful installation of Visual Studio. Choose the programming language you want to use on the left-hand side of the window. The middle section of the window shows the available templates for your selected project type. You can enter a name, a path, and some programming languages, which will allow you to choose a compiler/interpreter version. Click Ok to create your new project. Once you've set the parameters of your project, you'll be taken to this window. 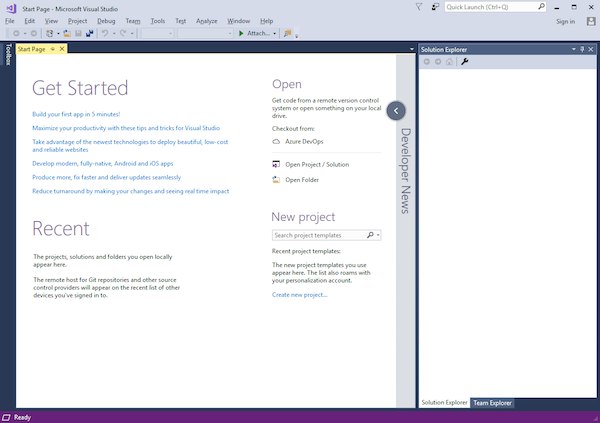 When you first start Visual Studio, the UI can look intimidating. However, writing programs works similarly to a simple text-editor. However, there are a few features that’ll increase your productivity and code quality. 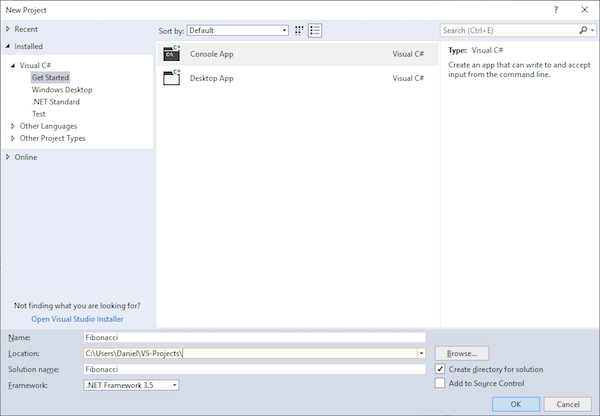 Visual Studio will provide suggestions as you type commands. You can use the auto-completion to quickly insert the highlighted command by hitting the enter key. Some constructs, like the for-loop, allow you to add a complete template by pressing the tab key twice. The green and yellow bars next to the line-numbers indicate saved and modified code. A helper tool is another way to check the documentation of a function. You can use the up and down keys on your keyboard to display different method variants. Use the cursor to check a variable's value. Click the pin-needle to prevent the pop-up from disappearing. This allows you to inspect how a field’s value changes over time, e.g., in a loop. Some variables like objects and arrays, allow you to check each value they hold. You can also change the variable’s value by double-clicking the pop-up. The tools in the main menu bar will help you continue your project. Alternatively, you can also press F5 to continue the execution, Shift + F5 to stop debugging, F11 to step into a statement, F10 to step over it and Shift + F11 to step out of it. You can also add and remove existing breakpoints while debugging. 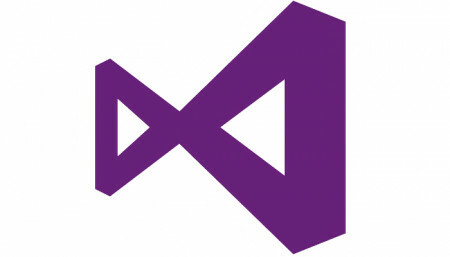 Visual Studio is a really powerful IDE and, because there’s a free version available, it’s totally worth testing out. It may look a bit intimidating when you first see it, but it’s easy to dive in a get familiar with its features.